Mont Blanc combines the Annual Calendar and Chronograph in the beautiful Heritage Chronométrie Chronograph Quantième Annuel which pas planned to be launched officially in this SIHH 2016. The brand prices the time piece competitively as a part of it's recent strategy, featuring the steel model coming in at slightly over US$10,000. The Heritage Chronométrie Chronograph Quantième Annuel moves on with Mont Blanc's strategy of offering complicated timepieces at relatively affordable prices. It features an Annual Calendar, which requires te be set once a year at the end of February, and a C,hronograph. Though not as complicated as a chronograph with perpetual calendar, this combination of chronograph and annual calendar is actually less common, because at the usual price point of such watches it makes more sense to go more complicated. 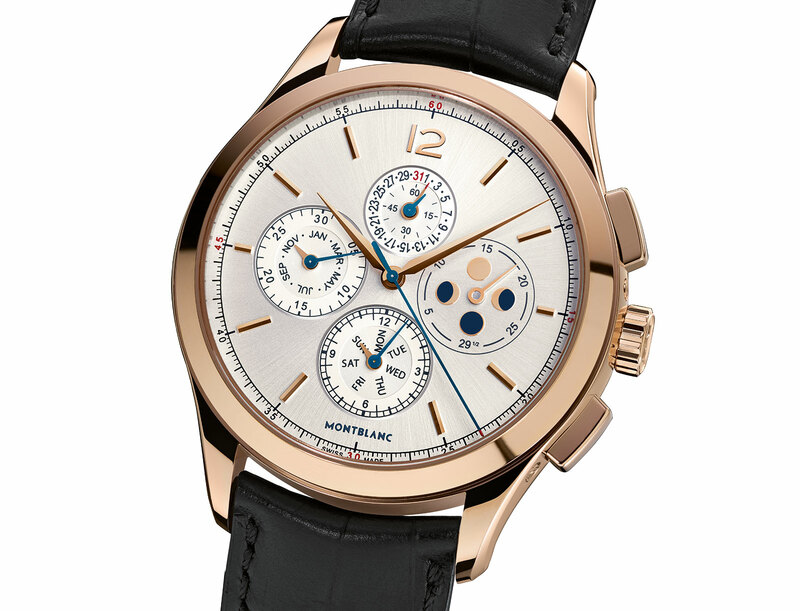 Similar to the approach taken with its affordable perpetual calendar, Mont Blanc manages to lower the price by equipping it with a basic movement, essentially a robust and cost efficient Sellita automatic calibre topped by a module that combines a chronograph function as well as the annual calendar. The annual calendar shows the date at 12 o'clock, months at nine, day at six, while the moon phase is at three o'clock. 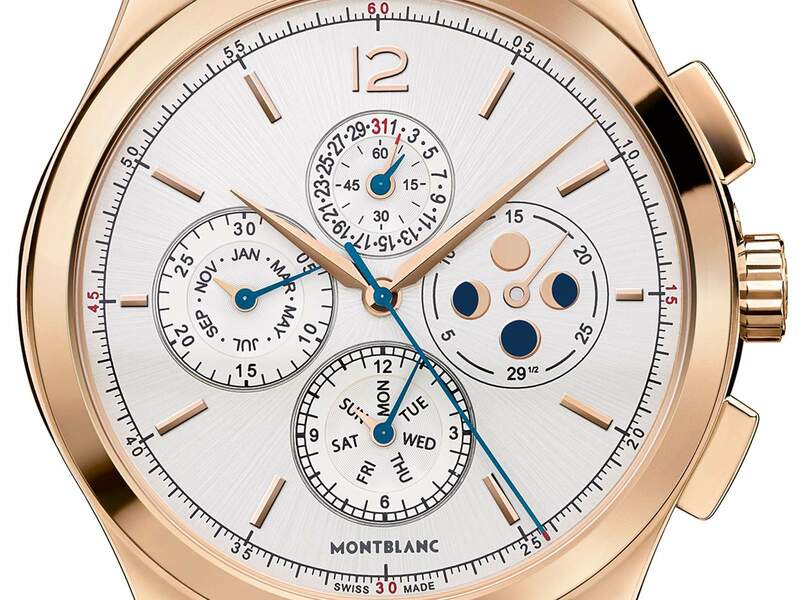 Though somewhat complex looking, the dial is classical in style. The look is inconspicuous, though it's inspired by a vintage Minerva wristwatch (Minerva is a Montblanc subsidiary) of the 1920s, according to Mont Blanc. The 42 mm diameter case is available in stainless steel or 18K red gold. The steel model will cost €9500 (equivalent to US$10,300), while the red gold version is priced at €18,900.